The Law Offices of Michael Camporeale P.C., is a firm with extensive legal experience dedicated to the practice of elder law, estate planning, Medicaid planning, asset protection from nursing homes, qualifying individuals for Medicaid home care or institutional Medicaid nursing home care, wills, powers of attorney, living wills, living trusts, life estates, health care proxies, estates, guardianships, probate, estate litigation, special needs planning, personal injury, medical malpractice, elder abuse, bed sores cases, nursing home accidents, and real estate closings. We are NY elder law attorneys dedicated to helping the elderly, disabled, persons with special needs and those suffering from Alzheimer’s and dementia. Understanding the legal and practical issues and needs of these individuals takes a special type of attorney. Estate planning, elder law, Medicaid and estate law can be daunting and confusing to the general public, those who work in the health care field and even attorneys who do not truly practice in this specific area. We are dedicated to educating our clients and their families in taking a proactive approach to estate and Medicaid planning so that family members will have the proper legal documents, tools and advice at their disposal to properly protect and preserve assets against Staten Island NY nursing homes and the high cost of long term care, so that we can insure the proper transfer of wealth to the next generation and not have the family’s inheritance wiped out and spent on the catastrophic costs associated with long term care costs. We take the time to get to know our clients and their unique issues. We encourage a free consultation with our clients and their children if they wish so that the proper estate planning and Medicaid planning can be accomplished to qualify clients for Medicaid, protect assets from nursing homes and transfer wealth and lessen estate, and capital gain taxes. We have been successfully qualifying and securing individuals for NY Medicaid and protecting and preserving family assets including their home from the high cost of nursing home care for individuals in the New York City metro area, Long Island, Westchester, Bronx, Staten Island, Queens, Brooklyn, Manhattan, and White Plains for well over a decade. Whether you refer to us as Staten Island NY Lawyers or Staten Island NY Elder Care attorneys, the Law Office of Michael Camporeale is the right choice. Find us under Staten Island NY Estate Lawyers, Staten Island NY Elder Lawyer, Staten Island NY Elder Care and Staten Island NY Elder Care Attorney. We Are Staten Island New York Elder Law Attorneys Dedicated To Providing Our Clients And Their Families With The Finest Legal Representation Available. 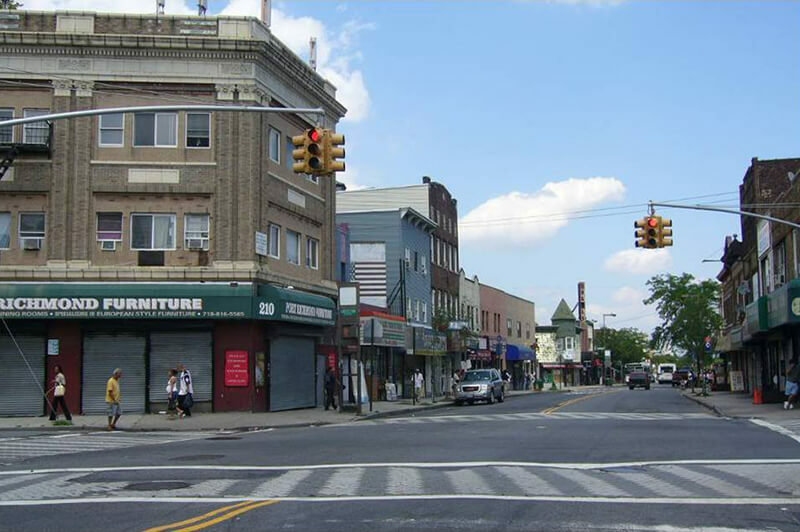 The term North Shore is frequently applied to a series of neighborhoods within the New York City borough of Staten Island. Generally, the North Shore is deemed to include the communities located within ZIP codes 10303, 10302 and 10310 in their entirety, along with all of the area covered by 10301 except Sunnyside, and those parts of 10304, 10305, 10314 that lie north of the Staten Island Expressway. This definition includes Mariners Harbor, Port Richmond, Westerleigh, Meiers Corners, Graniteville, Castleton Corners, West Brighton, New Brighton, St. George, Tompkinsville, Stapleton, Park Hill, Clifton, and Rosebank among the North Shore’s neighborhoods. The Staten Island Expressway is considered by many to be a southern border. The North Shore is Staten Island’s oldest and most densely populated area. Important landmarks and points of interest located on the North Shore include the Staten Island Ferry, Staten Island Borough Hall, Alice Austen House, Fort Wadsworth, St. George Coast Guard Station, Sailors Snug Harbor, The New York Chinese Scholar’s Garden, Staten Island Yankees Stadium, Garibaldi Memorial, Staten Island Institute of Arts and Sciences, the Staten Island Zoo, St. George Theater, Staten Island Children’s Museum, Silver Lake Park, Clove Lakes Park and its public golf course. The North Shore is New York City’s busiest remaining working waterfront. The district is also home to a disproportionate amount of the Island’s medically uninsured, a number high enough to rank in the top third of New York City’s 51 districts. However, compared to the rest of the city, the district is roughly average overall.